Anna Debenham lives in London and is a Product Manager at Snyk. She’s the author of Front-end Style Guides, and when she’s not playing on them, she’s testing as many game console browsers as she can get her hands on. 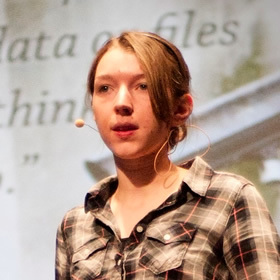 Anna Debenham picks up the reins to continue our journey of understanding in the dark forest of web security. With so many packages the reindeer are struggling to pull the sleigh against the weight of all those dependancies. The question is, which packages hold wonderful gifts, and which just coal? Anna Debenham guides us through the basics of using GitHub Pages with Jekyll to create simple, template-based collaborative websites. So hitch your huskies to your dogsled and set off at a racing start! Anna Debenham harnesses the console browser huskies to the sled of web design and races off into the deeply forested landscape, leaving in her wake only an in-depth analysis of the new Wii U and its internet capabilities. Anna Debenham spruces up your workflow by surveying the snow-strewn field of web style guides, and explaining how to tie them up nicely with a bow for the benefit of you, your faithful team of developer huskies, and your ever-loving clients.